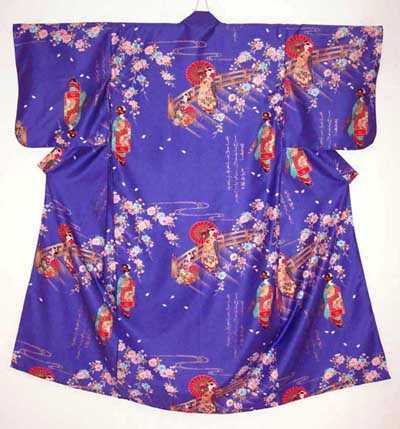 Gorgeous Japanese Yukata in Satin Cotton in size L. If you are size (10-16) this Yukata would be ideal for you. 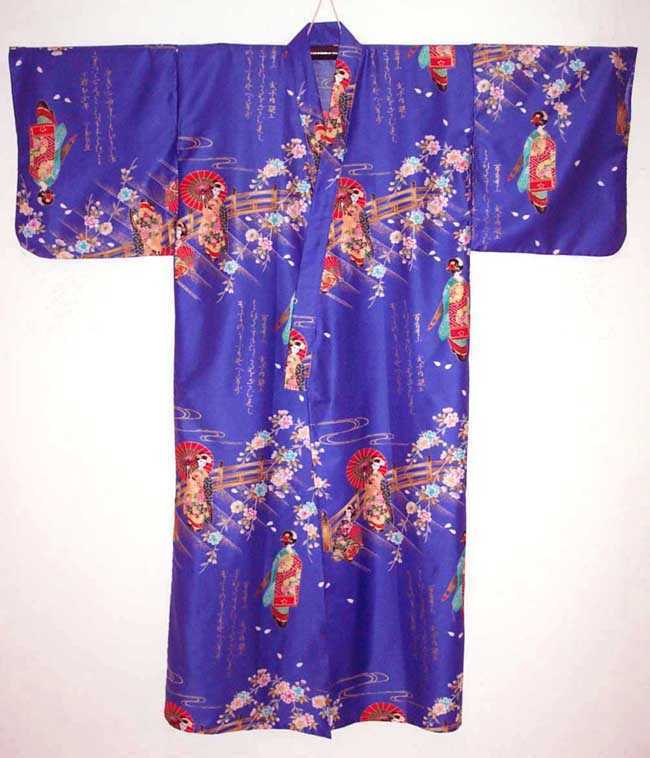 We have these Yukata specially made in Kyoto just for our customers. (Dimensions are 60 inches long and 53 inches in circumference at hips.) 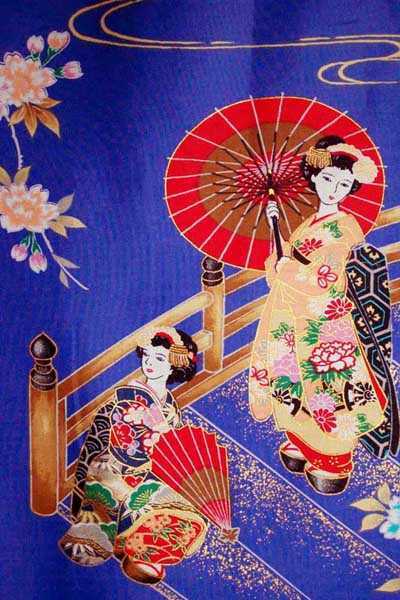 These Yukata come with a thin cotton sash. 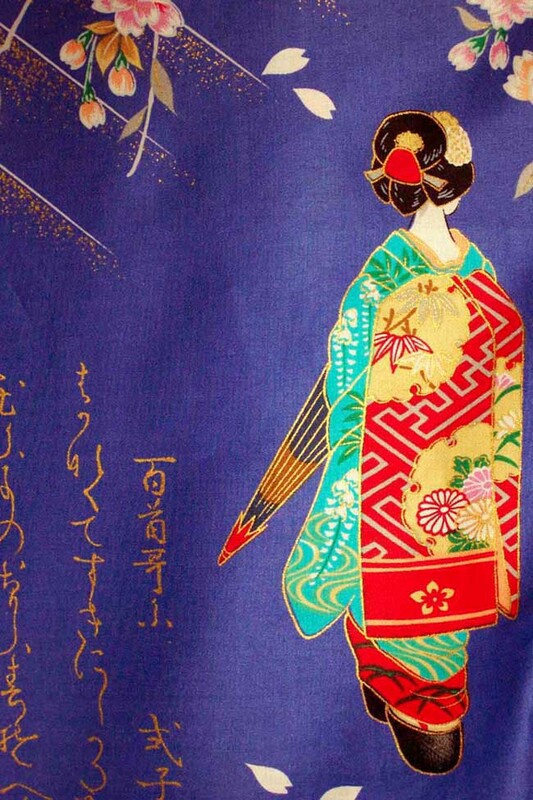 I love the Maiko (apprentice Geisha) on these stunning Yukata. Maiko generally are only found in Kyoto Japan. Won’t you be the lucky one to have this one?!! !